1) Are we living in the Last Days? 2) What is meant by the expression “the Last Days”? So the day of Christ, the day of God, the Last Day are all referring to this same time period that starts with this time of the great Tribulation of seven years, and continues on through to what’s known as the Millennium period: a thousand year time where Satan is bound, the Earth is restored to its pre-fallen condition, and Christ Jesus rules from the throne of His father David as absolute Ruler over Israel as well as the whole world. The Last Day has a total of 1,007 years contained in it. It is complete once the new Earth and the new Heavens are created and the eternal Kingdom has commenced. UPDATE: 10/08/11 Dave Hunt's (of The Berean Call ministry) Commentary on The LAST DAY: Is it a 24 Hr. Period? The ‘last days’ is that time period that comes before that Last Day. So, when did the last days begin? Perhaps, as long as 2,000 years ago? Some have suggested that “last days” here simply refers to “recent times” and that may be true, but I also believe it refers to prophetic times, particularly in light of ACTS 2:16–21 and JOEL 2:28–32). In the passage from Joel we read about the former and latter rain (JOEL 2:23); we know the former rain happened on Pentecost just as Peter indicated. The latter rain will occur initially with the 144,000 (12,000 Jews from each of the 12 tribes of Israel – see REV 7:1–8; 14:1-3) witnesses that proceed in their ministry of the Gospel of the Kingdom, and then later is realized upon all of Israel – when “all Israel shall be saved” (ROM 11:26) at the LORD Jesus’ return. We can think of the First Advent of Christ and Pentecost as being ‘the beginning of the last days’ with its “former rain” and then prior to Christ’s Second Advent that occurs at the end of the seven years of Tribulation (a.k.a. the time of Jacob’s trouble in JER 30:7; a.k.a. Daniel’s 70th week in DAN 9:27) as ‘the conclusion to the last days’ with its “latter rain” in the midst of the Last Day (this includes Daniel's 70th and final week of the 70 Week Prophecy). So it would seem that we have been living in the beginning of the last days for about two thousand years, but now at the end of those two thousand years we are living in the last of the last days. As we look around at the world scene today we see events happening that will find their ultimate fulfillment during that “Last Day”; events of political, governmental, economic, religious, military, social and scientific significance that the Bible has clearly spoken of thousands of years ago! Perhaps we will examine these events in greater detail in a second part of this article (which will more than likely be seen here only, and not in a sermon form). Another question: What is the key to last days prophecy – the very thing that without it, we cannot even BE in the last days? Israel being brought back into the land which was formerly scattered all around the world is a key to prophecy in the last days. However, Israel was cast out of the land not just once, but twice! The first time of course was during the days of Jeremiah, Ezekiel and Daniel (approx. 626 – 602 B.C.) when God judged the nation of Israel and delivered both houses (the house of Israel – the Northern Kingdom – initially taken away by the Assyrian Empire; the house of Judah – the Southern Kingdom – taken away by Babylon which also at that time conquered Assyria, and thus capturing the house of Israel as well) and the LORD gathered them back into their land under the guidance of Nehemiah, Ezra and the godly remnant of Israel’s people (446 B.C.). That was the first re-gathering. So when did the second re-gathering (the “second time” as mentioned here in Isaiah) occur? In 70 A.D. General Titus Vespasian by order of Caesar attacked Israel and decimated the nation and the Temple, scattering her people all over the known world. Over centuries of times these ‘wandering Jews’ tried to find a home in various countries, but never being at peace for very long. Early in the 20th century the vast majority of Jews lived in Europe and various Middle Eastern nations, but anti-Semitism increased among the Europeans and Muslim people, until finally WW II occurred and the Holocaust; six million Jews and among them over one million Jewish children were slaughtered in Hitler’s concentration camps (I myself have visited the Holocaust museum in Jerusalem when I traveled to Israel back in ’98. It was an experience that’s left an indelible mark on my heart to this day). Does scripture speak of a fourth re-gathering of Israel? Or even a third? No; there is a first and a second, and no more after that. The second re-gathering is the last re-gathering, and since Israel is mentioned prominently in the book of Revelation, whose majority text deals with the last days, we know that once Israel was gathered into the land the second time, that shot off the starting gun in this ‘last days’ race, heading towards the finishing line of the Last Day and the Return of Jesus Christ! With God’s whole heart and His whole soul He will assuredly plant them in the land – do you get the idea that God means what He says here? I sure do! He will fulfill His promises regardless of Israel’s unfaithfulness and unbelief. Yet after God brings Israel back the 2nd time (in 1948 by majority vote in the U.N. Israel was declared a nation again) we read prophecies about Israel in the land with Jerusalem restored and the Temple rebuilt; all this happens in the last of the last days. 1) The apostasy – many falling away from the faith, and the biblical belief of Jesus Christ and His Word. 2) The appearance of the anti-Christ. 3) His demand to be worshiped as God. 4) His proclamation of deity while in the Temple at Jerusalem. It is inconceivable that the religious Jew would allow the Temple to be rebuilt anywhere but in Jerusalem, and even more specifically, upon the very foundation of the former Temple as built by Solomon. So according to this prophecy by Paul, the anti-Christ or ‘the Beast’ will one day stand in this re-built Temple and declare himself to be God. Jerusalem was taken back by Israel in 1967, and there have been plans and designs for the rebuilding of the Temple for almost two generations now! Do we see apostasy today? It’s been around since the days of the apostles, but like leaven (yeast) it spreads and grows until everything is under its influence. Apostasy has infested all of the denominations of Christianity, as well as almost all non-denominational, independent, evangelical churches as well. Do we see false Christs who are worshiped today? Sure, but the Supreme example is soon to arrive on the scene! How will all of this prophecy play out in chronological order? - There was the First Advent of Jesus Christ about 2,000 yrs ago. - The church was established back then and not long after that the nation of Israel was dispersed (70 A.D.). - The church proceeded throughout the ages, falling into what’s known as ‘The Dark Ages’ but then with a Protestant Reformation and a reawakening of “salvation by grace alone, by faith alone”. - Israel was regathered back into the land in 1948. - Jerusalem taken back in 1967: this 2nd regathering constituted the ‘last of the last days’. - The church of Jesus Christ is awaiting the time of the rapture that will occur prior to “the time of Jacob’s Trouble” also called “Daniel’s 70th week” and colloquially spoken of as “the Great Tribulation (of seven years)”. Once this time period begins, it will be the time of the “Last Day”. - Once that seven year period is finished, Jesus Christ will physically and actually return to this world to rule from the nation of Israel, and Satan will be bound for 1,000 years. Prior to this “Last Day” there are various signs that are given to us by our LORD Himself regarding the last days which we find ourselves in now. 2) What will be the sign of Your Coming. 3) What will be the sign of the end of the age? The Greek word used here for “deceive” is planeo ad it means “to cause to roam, wander from the truth, from safety; to go astray, to seduce.” The LORD Jesus warns against deception not once, but three times in this chapter (vs. 4–5, 11 and 24)! 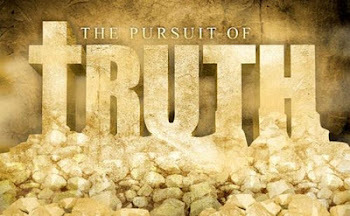 The primary emphasis of this deception planned by the master deceiver, that is, Satan is to get people away from the truth as found in God’s Word – to wander from the safety of it and into the dangerous, perilous deception of satanic lies as found in evolution, New Age beliefs, Emergent church dogma, etc. This deception will be found in every facet of life, in government, religion, the mass information and news media, education, economics, etc. and it’s already here! ‘Christ’ is the Greek word for ‘anointed’, and in the case of Christ, being anointed by the Holy Spirit; the word in Hebrew for ‘Christ’ is ‘Messiah’ who is the King-priest-prophet of Israel; the Christ is both the religious leader (prophet, priest and sacrifice) and the political leader (King) of Israel. That is the authority given to Jesus Christ, anointed of the Father for this very purpose (See ISAIAH 61:1-2). Lord Maitreya another anti-Christ; Who Is The Beast? Yet there is coming an anti-Christ that is ultimate and superior in authority from all the other imposters. Because the anti-Christ or “the Beast” will rule over the political and religious world order (the false Prophet will lead the one world religion and yet cause all of the world to worship the Beast – see REV 13:1-18). It’s because of this dual ruler-ship by the Beast of the one world government and religion, we can expect deception to increase both in government and in religion. The Anti-Christ - Session 1 of 2 by Dr. Chuck Missler. Some of these wars will be so intense and overwhelming that our LORD felt it necessary to assure those in Israel that though these wars would be taking place, they won’t signal the end of the world as some might suppose, judging from the enormity of them. Perhaps the use of NBC warfare will be in evidence in such conflicts yet to be seen. SIGN #3 cont’d) Nation against nation (“ethnos” in the Greek) and Kingdom against Kingdom (“basilea” in the Greek) refers to conflicts arising from different nationalities or race wars and riots as well as conflicts arising from various governments and powers in the kinds of wars that have been fought throughout history. Physical – REV 6:5-6; spiritual – AMOS 8:11. Easily two thirds of the world’s population is either starving or malnourished. This number is increasing as food supplies are decreasing. People even in the church are losing their appetite for the Word of God; they find God’s Holy Scriptures to be boring, or irrelevant for today. SIGN #5) Pestilences, diseases and plagues. Behold A Pale Horse - Session 1 by Dr. Chuck Missler. There is strong reason to believe that some diseases like A.I.D.S. and Ebola virus were genetically engineered and let loose on the world as a medical and social experiment, as well as a means to depopulate specific segments of the Earth’s population, specifically nations in Africa and Asia. For more on this read Leonard Horowitz’s book. Here is a summary of the book, chapter by chapter: EMERGENT VIRUSES- AIDS & Ebola: Nature, Accident or Intentional? It’s clear that these signs that our LORD gave to us parallel the same visions that He gave to John the Apostle in the book of REV 6:1- 8. The First Horseman: anti-Christ . . . false Christs - MATT. 24:5. The word for “earthquakes” here is seimos and interestingly enough, this word means not just earth quakes but also “tempests” as in storms, hurricanes, tornadoes, etc. “Diverse places” indicates a far ranging area in locations not usual to such experiences: like Washington D.C. for example. These particular signs given thus far will be as the LORD indicated, the BEGINNING of sorrows. What sort of sorrows is He talking about? Jeremiah makes much use of this term “as a woman in travail [sorrows]” in JER 4:31; 6:24; 13:21; 22:23; 30:6-7 which is a key passage explaining “the time of Jacob’s Trouble”; the LORD Jesus uses this term in JOHN 16:21; as does Paul in 1 THESS 5:3. These 24 signs, and specifically these few at the beginning of the chapter would come upon the world like birth pangs, the contractions that a pregnant woman experiences as the time of the child’s birth gets close: the pangs happen with increasing frequency and intensity. That’s how these signs would manifest themselves throughout history – slowly, spaced apart by some time initially and with less intensity, but then gradually increasing with certain instances of extreme upheaval. We are seeing this very thing more and more so in this century as well as in the 20th century. If you visit either Persecution-Int'l Concerned Christians or VOICE of the MARTYRS you will witness the ever increasing patterns of persecution which are slowly encroaching in nations that were founded on religious freedom, even here in America, signs indicate that persecution is coming. If you haven’t already, check out Jesus Freaks Vol. 1 & 2 put out by Voice of the Martyrs and DC Talk: JESUS FREAKS Books. Cassie Bernall and Rachael Scott were two contemporary martyrs of only 12 years ago; when faced with death, they were faithful to witness Christ Jesus and their unshakeable faith in Him. The word for witness in the Greek is “martos” – the term we get “martyr” from. Visit this tribute to these two heroes of the faith: Cassie and Rachael. Persecution of the church as well as of Jews peppers our history on this rebel planet, and such practices are only going to increase as the time of our LORD’s return draws nearer. Will we stand fast in the faith as did Cassie and Rachael and the other Christian students that day? Because of persecution and the unwillingness of some to endure such suffering for the LORD’s sake, there will be many who are offended because of the Gospel and Jesus Christ and will not only turn away from the faith, but will turn over those who are determined to be faithful to their persecutors! The word “offended” here in the Greek is “skandilizo” where we get the word ‘scandal’ from: self explanatory isn’t it? The deception that the LORD warned us about seems connected to these false prophets who will work “lying wonders” and deceiving miracles of such magnitude that if it were possible, these could deceive even the very elect! Just as there are many false Christs, but one primary example in the Beast, there are also many false prophets with their own primary example of THE false prophet, the right-hand man who will herald and support the Beast (See REV 13:11-18; also 2 THESS. 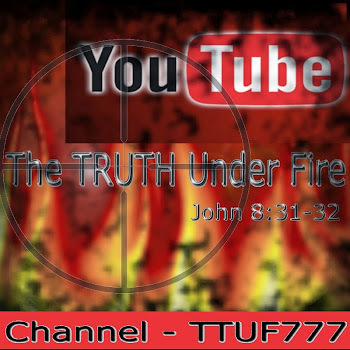 2:9–11 regarding “[the] lie”). SIGN # 12 & 13) Iniquity will abound – Love of many will grow cold. The word for “wax” is psucho which refers to “a gradual change, to chill by evaporation”, which I find quite relevant! The evaporative process of water incites a cooling phenomenon that is commonly employed in desert regions such as Arizona. These evaporative coolers employ the evaporation of water through the pads to create cool air. We know that the Word of God is symbolized by water (EPH. 5:26), and for the apostasy to happen, people who supposedly formerly believed in God’s Word no longer do so; the “water of God’s Word” evaporates, as it were, from their hearts and lives and as a result, their love for God cools into indifference. And why is this? Because of iniquity or “lawlessness”, a significant part of this lawlessness is the denial of any authority, but particularly of the Bible as God’s infallible, inerrant Word as He inspired the various (approximately 40) writers to write the Scriptures; they will see the Word of God as mere history, a collection of moral stories, Hebrew poetry, anything except for the actual Word of God. This Gospel is being preached today, but in ever decreasing numbers; faithful missionaries that will bring the pure Gospel of Jesus Christ, unmixed with other Gospels and “vain philosophies” is becoming more uncommon. Yet prior to the LORD’s Return, the Gospel of the Kingdom will reach every corner of this globe with such ministries as the two witnesses of REV 11:3–12, the 144,000 witnesses of Israel that have placed their faith in the Messiah (REV 7), and the saints that come out of the Great Tribulation (REV 7:14) and even angels from heaven (REV 14:6)! Once completed, the LORD Jesus will return to claim His throne in Jerusalem as the Son of David, the Messiah. 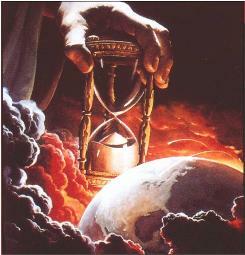 “The end” spoken of here is the end of this time period known as the Great Tribulation. The abomination of desolation is an historical event that the followers of Jesus and all Jews would remember well. It was a time when Antiochus Epiphanes ruled in the Seleucid Empire (175 – 164 BC) and desecrated the Jewish Temple by sacrificing a pig on the altar and raising up an idol in the Holy of Holies. This sparked a Jewish revolt and the oppression of Israel was temporarily relieved and the Temple was cleansed (this is commemorated in the Jewish feast of Hanukkah). These references are what is known as a ‘double reference’ which often appears in prophetic Scripture for very specific reasons; these verses refer in part to Antiochus Epiphanes, and they also refer to the coming one world leader, the Beast of Revelation. Obviously here the LORD is speaking to His Jewish followers about Jews, because Judea is mentioned, the Sabbath, and winter time in Judea which makes for very difficult traveling. When the event of this abomination takes place, the Jews are to flee away and do so immediately with the utmost of urgency! Judea is to be a part of modern day Israel according to this, and so it is. Both the Holy Place which is the center most part in the Temple where the ark of the covenant was placed, and the “secret [inner] chambers” that were used by the priests, and are spoken of in these verses; not only will the Temple be rebuilt, but it will be rebuilt authentically according to the same designs that had built it in foregone eras of Solomon’s day. “For then” speaks of the time that immediately follows the abomination of desolation. We often call this seven year period “the Great Tribulation” but really it’s the last three and a half years that is; the previous three and a half years is known by some as “the beginning of sorrows” which will be terrible enough! Yet it will only get worse, much worse! Bringing Israel “through the fire” is a reference to those Jews who survive the Great Tribulation and come to faith in their Messiah. Could you imagine this prophecy being fulfilled in a day and age other than our own? How could it be that “no flesh” would survive if warfare was conducted with swords and spears, or even muskets and cannons? Or even WW II planes and battleships in conventional warfare? Yet today with NBC (nuclear, biological, chemical) warfare this prophecy has reached a level of credibility that causes fear in the hearts of many. For the first time in human history we have the technology to literally exterminate all life on planet Earth! Not only this, but as stated previously, wide spread martyrdom will become common among the world’s population for there will be a number beyond count that will be martyred (REV 7:9–17) because they refused to pay allegiance to the Beast. I will surely assemble, O Jacob, all of thee; I will surely gather the remnant of Israel; I will put them together as the sheep of Bozrah, as the flock in the midst of their fold: they shall make great noise by reason of [the multitude of] men. When the LORD tells His people to flee to the mountains, according to prophecy, this remnant (believing Jews) will be gathered together in Bozrah or Petra as it is also known, where they will be kept safe from the Beast and the tribulation of those days. Now false Christs and prophets had already been mentioned, so how can this be another sign? Remembering that the things come upon the world in birth pangs, so that the latter are more intense and powerful than the former, these false Christs and prophets will only increase in their power and ability to work lying wonders and great signs to deceive those who were not fooled by the previous ones; these wonders are of the same miraculous order as those performed by the LORD Jesus Himself while He walked this Earth. How can this be? Because God will bring them strong delusion (2 THESS 2:11), and part of that may very well be allowing such power to be manifested in these agents of Satan! Apathy and a lack of discernment regarding the days in which we live can be compared to the attitudes of the people in Noah’s day in which faithful Methuselah, Noah and others preached of the coming judgment, but of all the Earth’s population (by some estimates numbering in the several billions) only eight people were saved! That’s apathy if I ever saw it! We see such apathy and lack of discernment today. There are people, even Christians who seem completely unaware of the fact that the push towards global government and a one world religion is proceeding at a very steady pace and gaining ground daily. They don’t appear to understand that the economies of the world are under the control of an oligarchy (rule by a few, enlightened rulers) who are intent on bringing down the economies of all the nations so that their currencies are worthless and in effect, forced to accept a one world global currency which this oligarchy will control. Measures are being taken that will bring all religions in the world under the authority of the U.N. and here in this country under what is coming to be known as ‘The Department of Peace’ which is planned to become a Cabinet level department at the Federal level. Any religious order, or organization, any Christian denomination or independent evangelical church that refuses to comply will have this government backed Department of Peace to deal with! Oh, really? Try telling that to the Christians in Communist China, or North Korea. Try telling that to Christians in the Middle East, or Africa that are suffering persecution at the hands of Muslims that demand that they worship Allah. Try telling that to Christians in India where radical factions of Hindus are likewise killing them, pillaging their villages and churches. How can we assume that Christians here in America will escape persecution when the church has suffered persecution, even promised it (2 TIM. 3:12) in the majority nations of the world, during the majority of history, since the church was born? Those who have suffered persecution in Eastern Block Communist nations, such as Richard Wurmbrand, founder of Voice of the Martyrs, have stated that the signs preceding persecution are already here in America! Yet how many Christians really know these things? How many are earnestly praying to be found faithful when our time comes? How many are burdened for the increasing blindness of lost souls that, barring miraculous intervention by God and His church whose duty is to proclaim the Gospel, will lead them to an eternity in hell? And how many Christians are able to discern good, biblical doctrine from bad, and are actively warning others of the leaven (false doctrine) that is permeating the church world wide? The church today is composed of professing believers who don’t read their Bibles, they aren’t interested in it or don’t feel the need; some complain that it’s too difficult to understand; others still are simply untaught and become discouraged. There are professing Christians that don’t pray, nor do they attend prayer meetings. There are some churches that have congregations in the thousands, and yet barely a handful will show up for a week end prayer meeting. Because Christians are not taught the prophecies of the Scriptures (about 1 out of every three verses in the Bible are either prophetic or have prophetic relevance), and they are discouraged by pastors to not spend time doing so! – they don’t understand the late hour in which we are now living: the last of the last days before the church is taken out of this world and it’s then plunged into the most horrible, wicked, violent and bloody time of evil that’s ever been known before! The hour is indeed very, very late! Those Christians (if they are truly saved) must make their decision now or never, to live wholly for Christ Jesus and surrender their lives totally over to the LORD that bought them with His own blood! Those who are mere professing believers – they aren’t really saved, they just go to church, must repent of their sins and turn from their sinful life and fall upon the grace and mercy of Christ Jesus before its too late and they themselves face the trial that is coming upon all the world (REV. 3:10). Is the Discernment Gene Becoming Recessive in the Body of Christ?